Recognising and rewarding an employee or individuals success is one of the best ways of boosting self-esteem, productivity and the bottom line. 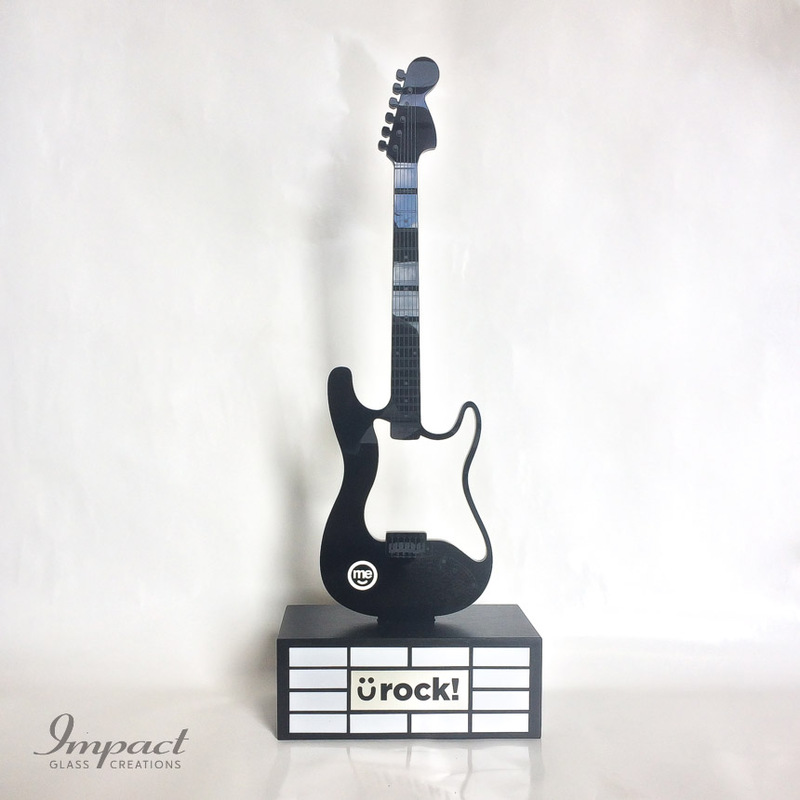 It also gives the individual or team a sense of purpose and appreciation for their focus, initiative and dedication. 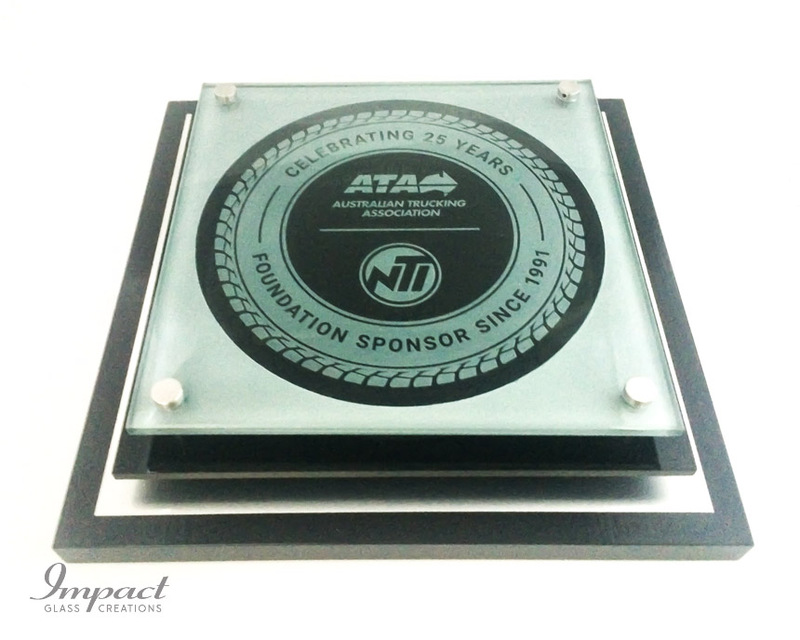 Receiving something tangible like a beautifully designed plaque, then proudly displaying it will also encourage others to strive, creating a win-win situation! It’s well established that one of the most important things for any business or other organisation to do is to find ways of keeping its staff happy. And one of the surest ways to do the opposite is to fail to recognise the efforts of those members of your team who are working exceptionally hard and achieving great results. 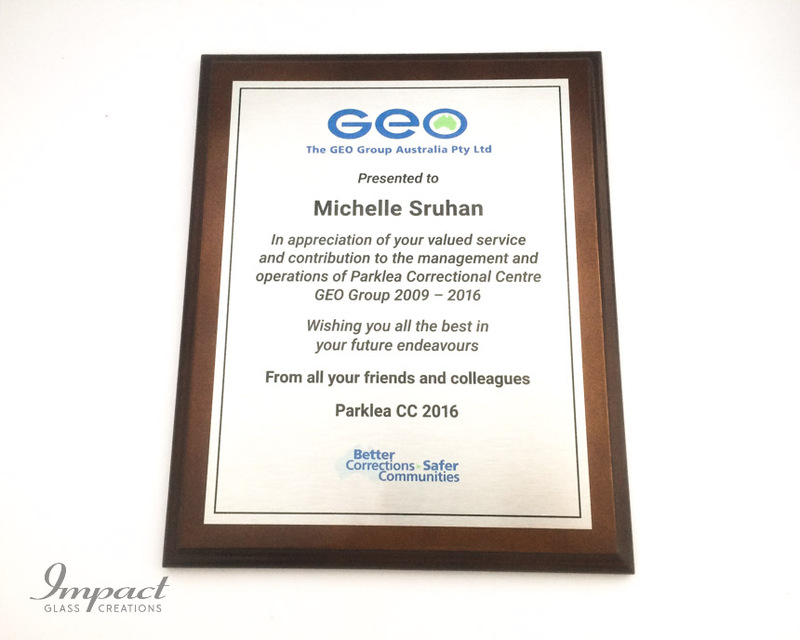 That’s why it’s vital that you actively acknowledge the achievements of individuals and groups within your wider team on a regular basis. 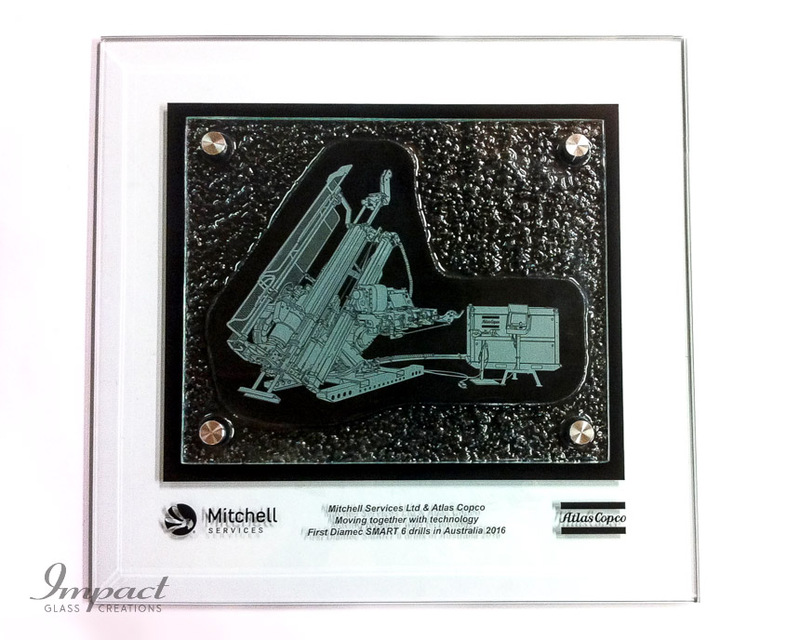 And one of the best ways to do so is to invest in custom made plaques. 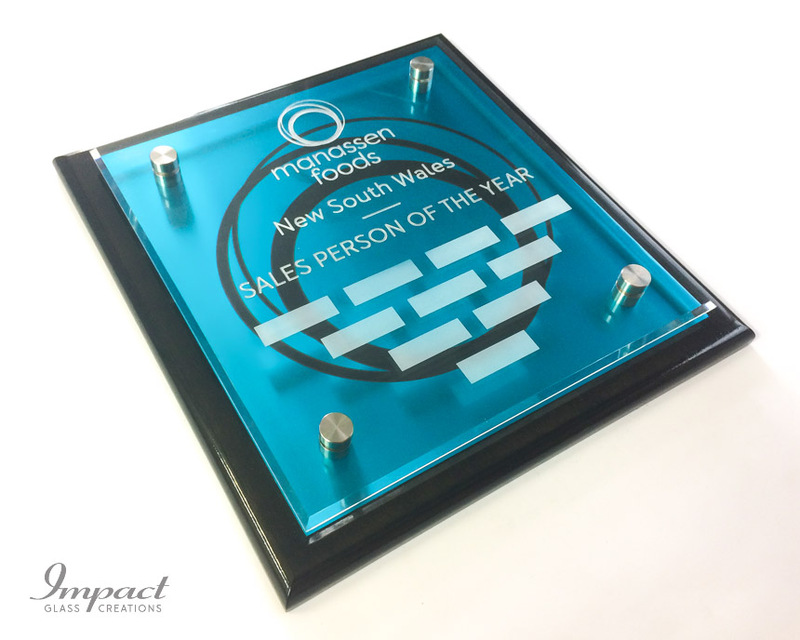 If you’re thinking that ordering personalised plaques for high-achievers and hard-workers on your team is bound to be expensive, time-consuming and difficult, you’ll be pleased to know that nothing could in fact be further from the truth. 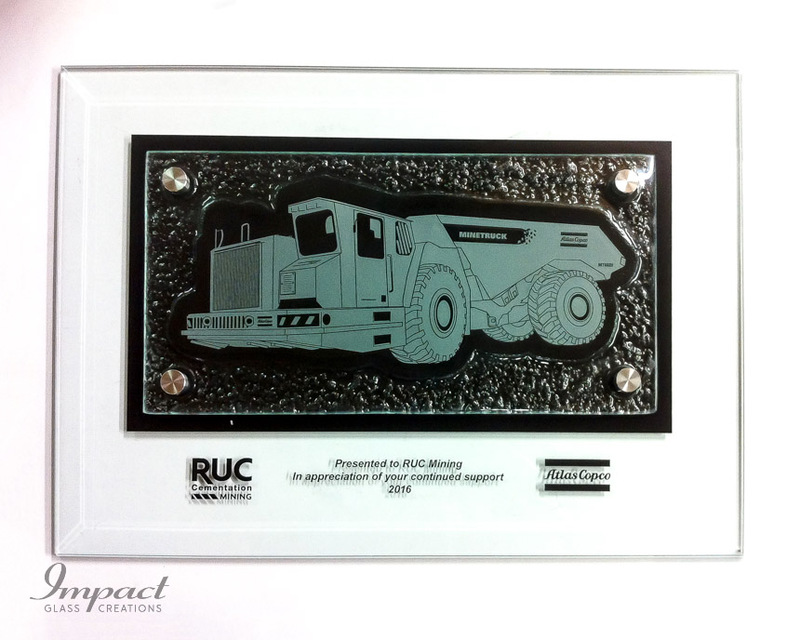 In reality, those who order custom name plaques here at Impact Glass Creations can access top-quality bespoke plaques online with just a few clicks of their computer mouse and a few taps of their keyboard. Our highly trained and experienced team of professionals have built their solid reputation in the industry on the back of many years of trading, during which we’ve worked with some of Australia’s largest and most reputable companies as well as plenty of small, independent family businesses across the country. We work with each customer individually to gain an understanding of exactly what it is they’re looking for, from simple personal messages and names to completely unique designs, styles and shapes. Using only the finest materials and state of the art equipment, we then turn these concepts into realities and deliver them to our customers anywhere in Australia. 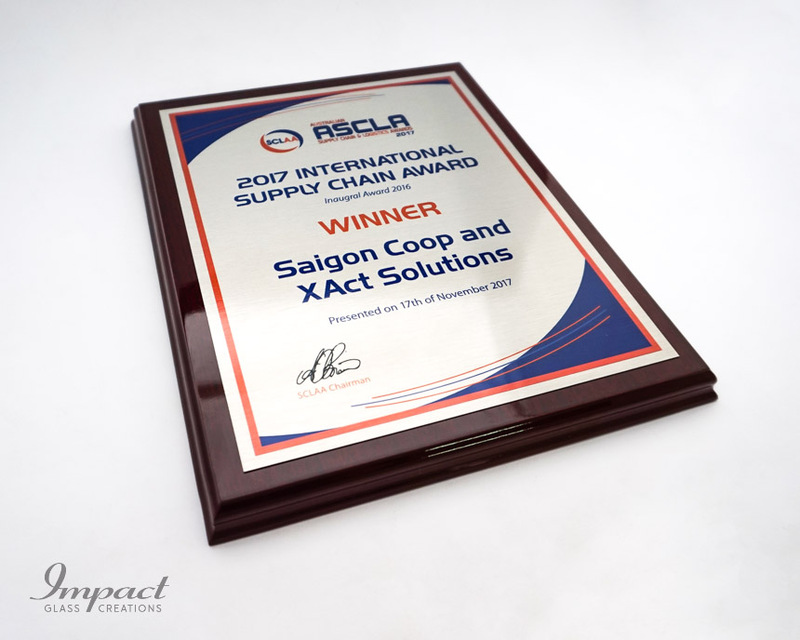 When you gather your team together in order to present high-achievers with their awards, you’re creating a great opportunity for networking, socialising and simply building stronger working relationships. Plus, you’re ensuring that you and your team enjoy working in a positive, supportive and meaningful working environment in which hard work and excellent results are recognised and rewarded. The result of all this is not just desirable as it is, but it also leads to other desirable outcomes for your team and business: improved motivation and productivity and, ultimately, greater long-term success. 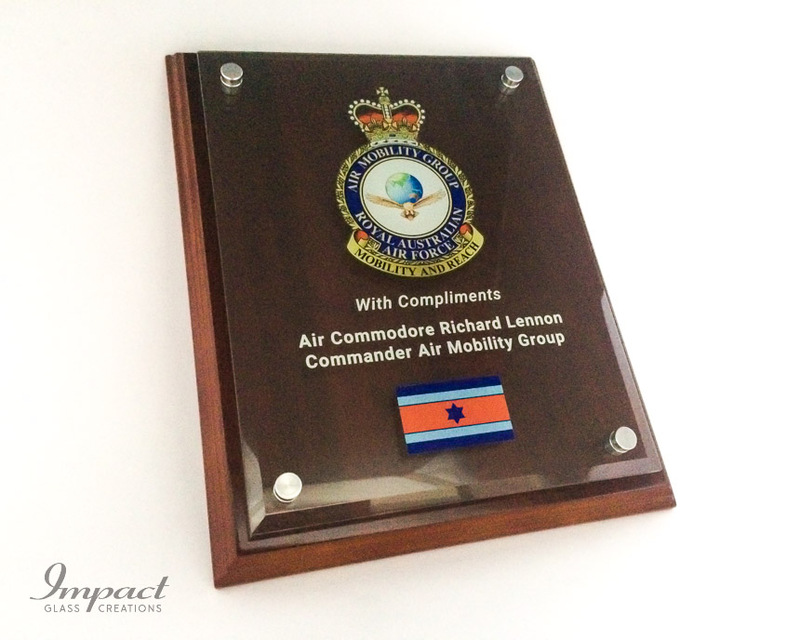 And whilst all of these benefits can be attained simply by acknowledging the achievements of your team in other ways, such as with standard, generic trophies and plaques, custom made plaques are always more exciting and inspiring to receive – and they’ll end up being proudly displayed for many years to come! 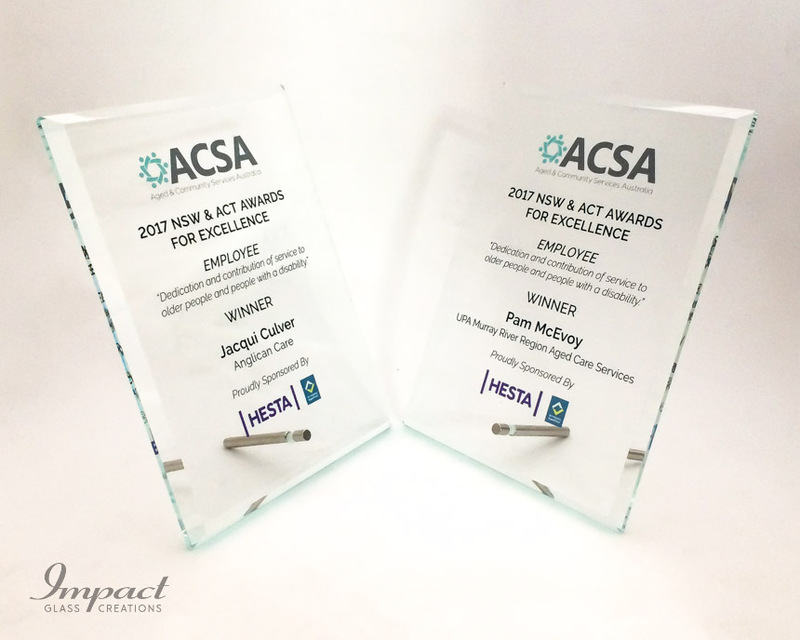 So if you run a business, school or other organisation anywhere in Australia and you’re currently in the process of trying to find innovative and powerful ways to recognise and reward deserving individuals, look no further. 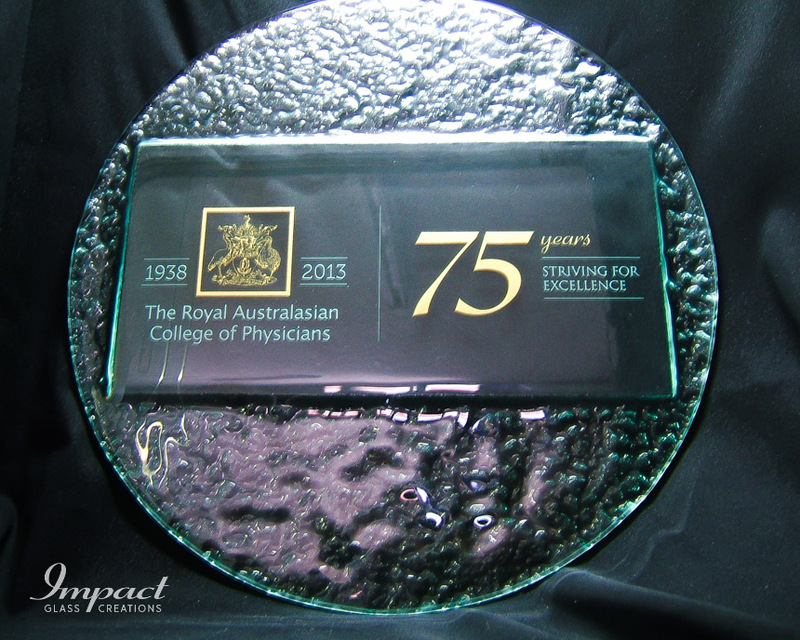 Simply get in touch with a member of the friendly and professional team here at Impact Glass Creations to find out more information about how we can provide you with the very best custom name plaques available on the Australian market.